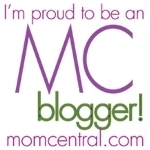 Do you know a mom who loves it all? Maybe she enjoys spending some quiet time out in the garden, or tending a few backyard chickens. Perhaps, she revels in a candlelit bathtub full of scented bubbles. Or, just maybe she spends her nights yelling into her headset mic while her guild takes down an especially nasty boss in her favorite game. Whether she loves gaming, pampering, homemaking, or everything in between — here are some of my top picks, for Mother’s Day gift ideas this year. Moms who love the both cooking and gardening may like this inspiring book all about twenty celebrated chefs and their head gardeners. I’m one who loves to ‘read’ her cookbooks and this is the ultimate cookbook reading experience! Chock full of award-winning Jason Ingram’s gorgeous garden and food photography– the stories, tips and tidbits included in Kitchen Garden Experts are an inspiring way to see how these 20 extraordinary chefs take their dishes from farm to table. One book was received for review. 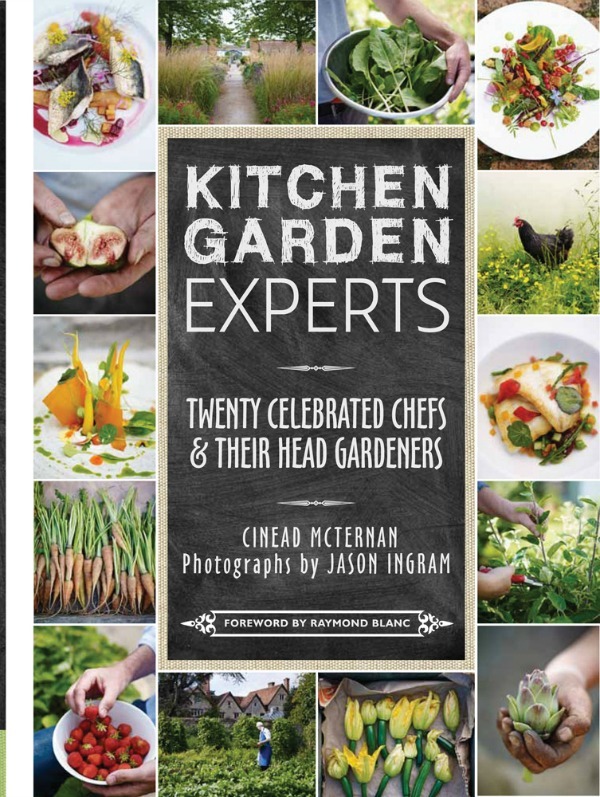 “Kitchen Garden Experts: Twenty Celebrated Chefs & Their Head Gardeners,” by Cinead McTernan, is a wonderful book for gardeners, cooks, culinary tourists and anyone else who has an interest in some of the most innovative dishes imaginable! Available May of 2014: $30. Check out Kitchen Garden Experts, from Quarto Publishing Group today! With kids, pets, phones and an endless array of blinking, bleeping and demanding electronics, us Moms sometimes just need to have a way to TUNE IT ALL OUT! Even a few minutes of blissful music with no other noise can soothe harried nerves and uplift a grumpy attitude. One headset was received for review. SOL REPUBLIC Master Tracks, an over the ear headset with amazing sound, will be just the ticket to peaceful relaxation! Master Tracks have fantastic noise cancellation and they’re perfect for cuddling up on the couch to watch a favorite show on your tablet, or plugging in to your favorite device for some a jam session. I love that you can customize your pair with interchangeable headbands, cables and sound engines. The inline 3 button mic and sound control is a breeze to use. My daughter and I both have a pair and they have really sweet sound, the bass sounds wonderful and they truly do block out the outside world. 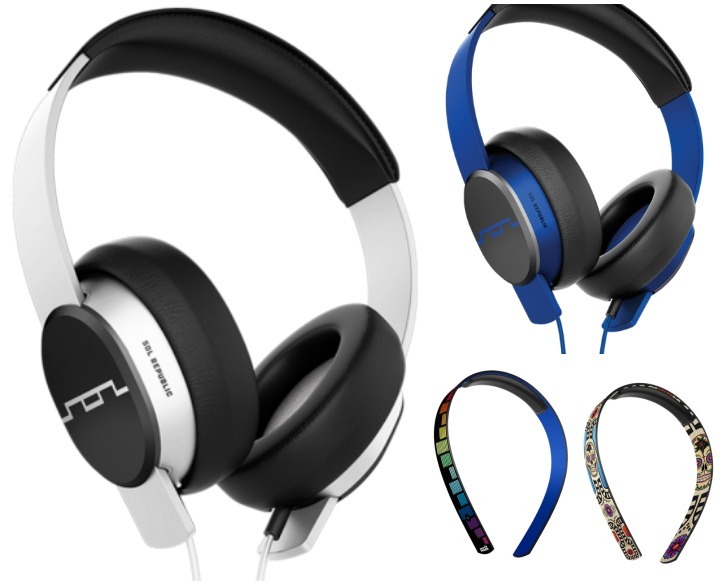 Available at www.solrepublic.com, starting at $199.99, with many customization options available. Send Mom a little love this year with a gorgeous hand-delivered bouquet of fresh flowers! The selection of Teleflora Mother’s Day flowers available is large, and with fresh bouquets starting as low as $29.99, the value is outstanding. My mom is a butterfly lover, so I am thinking the gorgeous Butterfly Serenity or Country Basket Blooms bouquet will be headed to her house for delivery, soon! I love that Teleflora offers a “Flowers in a Gift” option. These include things like hand-arranging flowers in a pretty decorative vase or keepsake container. This way, Mom has a forever reminder of your gift and appreciation. If you’d rather send mom something that will live on, Teleflora also has several varieties of plants for mom to add to her garden or windowsill. 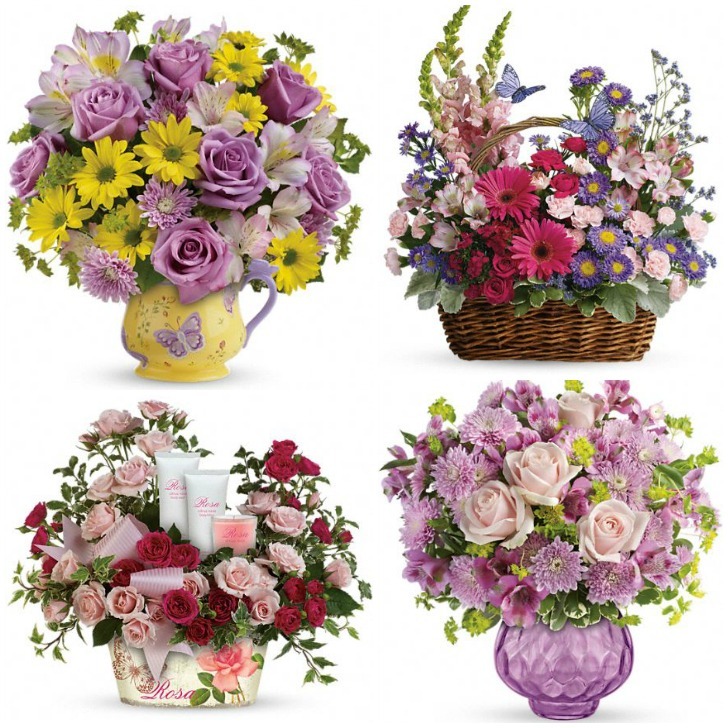 Teleflora is sure to have the perfect arrangement for any meaningful woman in your life, in all tastes and styles. Mother’s Day delivery available for many areas now! Be sure to order early to ensure your bouquet arrives on time. Arrangements start at $29.99, Check out www.teleflora.com today! If your Mom is anything like mine (or myself), then she just might be a lover of all things paper! Oubly provides a unique array of chic and stylish stationery products and gifts, at an affordable price. Browsing through the attractive Oubly website, there are stationary products for every occasion. the assortment of Mother’s Day cards is absolutely gorgeous. Oubly’s philosophy focuses on providing the best customer experience possible. They use only environmentally friendly materials, such as recycled paper and vegetable oil-based inks in their green printing framework. Each order is shipped with a thoughtful surprise gift, to show their appreciation. The difference in the quality and care that Oubly upholds is apparent with the three standard luxury paper options and the beautiful keepsake packaging that they offer their customers. Visit www.oubly.com to shop and personalize party invitations, address labels, announcements, business cards, hang tags and more. Oubly’s designers are ready to participate in creating your perfect moments! If mom loves to spend time in the kitchen creating delicious meals for the family, she may enjoy a subscription to a meal planning service such as Relish!. 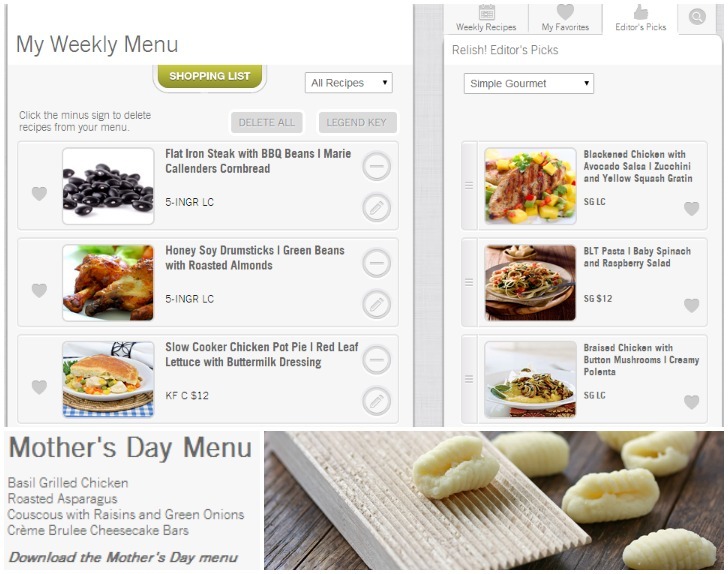 This website simplifies the process of making a weekly menu by offering tried and true recipes for wonderful family meals on the table every night. Relish! 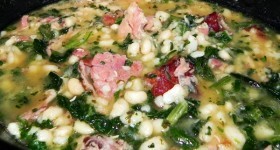 utilizes fresh, healthy ingredients to offer different dishes each week. You can use the new drag and drop dashboard to create your menu, then print out a shopping list and the recipes for that week. You’ll be able to favorite recipes, scale them to servings from 2 – 8 people, search by category or ingredient, look for freezer friendly meals, change the paired sides, edit the shopping list and even add up to 20 of your own recipes with the ‘custom menu’ feature, for easy integration into your meal planning. Two of my favorite features of Relish! are the monthly and weekly features. The monthly section changes each month to give you tips and tricks on seasonal ingredients and recipes to go along with them. The weekly features instruct on new cooking techniques and general home skills that are very useful and quick to implement. I also love the special downloads, like the printable Mother’s Day menu they have features this week. Available from www.relishrelish.com as a 3, 6 or 12-month subscription option, each gift purchase comes with a personalized card. You can also choose to send your gift subscription card as a pre-wrapped gift, bundled with a cute spatula. This is a great gift for moms who love to be (or need to be) organized in the kitchen! 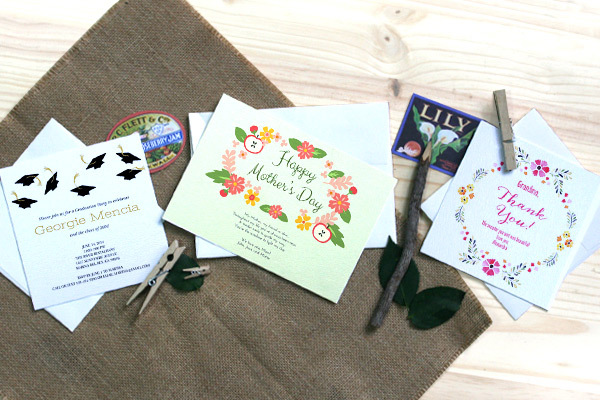 For the mom who loves to be pampered, Agraria has some gorgeous Mother’s Day gifts. From luxury bath bars, to woven crustal candles that smell amazing – each item would make a lovely gift on its own, or tucked into a basket created just for your special lady. Bath Salts were received for review. For a soothing soak, Agraria’s Aromatherapy Bath Salts will wash away Mom’s worries and stress. The large 32 ounce decorative bath salt box is filled with 2 pounds of Dead Sea bath salts that are fragranced with pure essential oils. Each container also comes with a pretty scallop shell, to use as a scoop. I can personally attest to the amazing and pleasant scent of the Lemon Verbena fragrance — just lovely! Aromatherapy Bath Salts retail for $45.00 and are available at various boutique stores, such as Bergdorf Goodman, Saks Fifth Avenue, Neiman Marcus, and online at www.AgrariaHome.com. If mom loves gaming, indulge her in a points card to her favorite gaming website or game. Many games have cash shops or perks that mom might love to buy, but feel guilty about spending the family’s cash on. Buy her a points card so she can get that coveted flying mount or awesome cosmetic wardrobe item. Or, if music is more you Mom’s style, tuck an iTunes gift card into her greeting card or gift basket. These cards can be found in stores like Walmart, GameStop and Amazon.com — to name a few. You could try stopping by mom’s on Mother’s Day morning and surprise her by making her homemade pancakes. I did this for my mom almost 12 years ago, and she still talks about it to this day ;-). Take her out to the movies and dinner — it doesn’t have to be ON Mother’s Day, if you want to avoid the holiday crowds. Visit a book or craft store, then stop and have lunch at a favorite coffee shop. Any one of these little things will definitely make mom’s day and create wonderful memories for both of you. I wish you and your mom a very happy Mother’s Day this year! For a chance to win several of the items on my Mother’s Day gift guide, be sure to enter the Moms who love it ALL giveaway HERE! Some of the products in this post were received for review, all thoughts and opinions are genuine and 100% my own. I get my mother jewelry and flowers every year. I know, it’s boring, but that’s what she likes. Oh I’d love to try the Agraria’s Aromatherapy Bath Salts, a relaxing “Spa Day” at home sounds delightful! What beautiful packaging too, would make a great gift for mom. My mom would be so happy with the bath salts and flowers. That would make my mom’s day! I think the Kitchen Garden Experts Book would be a great gift for my mom who loves to garden. My mom would love the Teleflora bouquet . I would love to win so that I could surprise her something special for Mother’s Day! I am an avid gardener and that book sure catches my eye along with the headphones so I can listen to music while outside enjoying the dirt and the sunshine. My Mom would love the flowers for sure and the bath salts. Such lovely ideas here! Are mother’s day gift suggestions are great. I would probably go for the gift card to itunes. My mom loves music and downloads several songs from itunes in a month. I would love the Teleflora bouquet for my mom. I think she would love flowers and this would be wonderful to win. I would love the kitchen garden book. This would be right up our alley since we love to garden and cook. I;d love to win the flowers because I wanna give them to my mom. 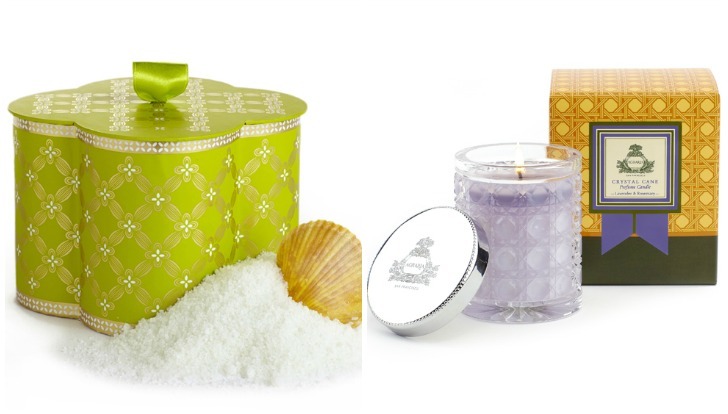 I would absolutely love to win the Agraria’s Aromatherapy Bath Salts. I am a very hard working mommy who would love to treat herself to a relaxing bubble bath with these amazing salts. I really want to win this giveaway because I would love to treat myself and my mother , I believe that we both are amazing and deserve a great Mother’s Day. I want to try the SOL REPUBLIC Master Tracks. I want to win this for my mom for mother’s day. These are great ideas. I’d like the iTunes giftcard. My mom would love the flowers. I would love to win the giveaway so that I could give her some. I would love the teleflora gc to get the blushing lilies arrangement! I’d be thrilled to win the Teleflora flowers. I’d love to surprise my Mom with some beautiful flowers. She really loves flowers and would be so happy to receive a surprise bouquet. I’d love to give my mom the headphones. She’s always given flowers so I’d love to give her something different and she listens to a lot of books on CD. I would live to win the $75.00 gift card for flowers so that I can afford to get my 90 year old mother some gorgeous flowers for Mother’s Day. My mother would enjoy an iTunes gift cards and a bouquet from Teleflora. I want to win because I like all of the prizeand would enjoy sharing with my own mom. This is so sweet! My mother is hard to shop for but I think she would enjoy something like this. I’m a sucker for flowers and the Teleflora flowers would be my favorite. I would love the Teleflora flowers. I don’t receive them often, so that would be a wonderful treat for Mother’s Day. I would love to win because there are things in the prize package that I would love myself, but also love to give my mom! I love all of the gifts. The Garden Expert book would certainly help me with my gardening skills and the Amazon gift card is always welcomed as I have 27 items sitting in my cart that I would like but don’t necessarily need. My mom would love the flowers from teleflora! She loves fresh flowers and would appreciate this gift. my favorite gift idea is the teleflora flowers because they will brighten any day. i want to win this giveaways because i love winning. and flowers. My mother loves gardening! I think the Kitchen Garden Experts Book would be a great gift for her. They all look lovely, but l’d especially like the Agraria’s Aromatherapy Bath Salts. Hot baths are my therapy. What an amazing prize package! I would love to win the headphones. I love listening to my music when I go for walks. It’s my me time everyday. I also could really use the Relish Meal Planning. I feel like we are in a rut. I would looooove a labradorite pendant this year! 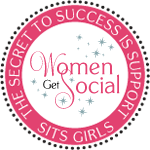 Great gifts listed though! wife loves flowers…the Teleflorist ctf would be ideal. i would really like to take a look at the gardening book. i love gardening, i bet it has some helpful hints and great ideas. The kitchen garden experts book sounds amazing! We are hoping to get our garden in this year and so this would be a wonderful thing to have to use all our goodies from the garden! I love your idea of SOL REPUBLIC Master Tracks as a mothers day gift. I really need a pair, all I use is earbuds and theyre horrible. Besides the traditional gift of flowers, I like that they include the aromatherapy bath salts. That is something I’d rather get than flowers. Those of us with allergies often have trouble with the aroma of flowers. It reminds us of itching and sneezing. 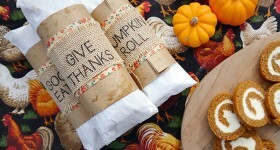 Such awesome ideas, it’s nearly impossible to pick a favorite. The Meal Planning service seems the most useful and practical, which is what my family and I are all about. With such a variety of health problems in our family, it’s incredibly important to plan our meals carefully and think ahead. That sounds like such an amazing service! I would like to try the Sol Republic headphones so I can listen to my music without disturbing anyone and for the sound quality. Also, I would like to win so I could send flowers to my mom with the teleflora code and the meal planning service sounds like something I could use for my family. I’d love to get my mom the flowers. She really deserves them and it would be a special treat for her! She deserves to win because shes the best that their is! I would love anything from oubly.com, seriously! Then again, most of your list are things I would adore, great list. What a lovely giveaway to honor Mom’s, I would like to win to give something extra special to my MOther in law! I would love a gift card. You can get just what you need with a gift card and you don’t have to worry about huring someone’s feelings if it’s not exactly what you want. Thank you! 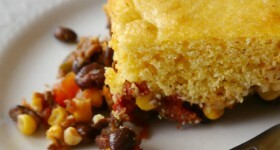 I would most like to try the Relish meal planning subscription! My mom and I cook together a lot (we are actually neighbors!) and this would be awesome to help us meal plan. I would love to win this giveaway because it help make My mom’s Mothers Day extra wonderful! She is a truly amazing mother and deserves the best! What a wonderful giveaway! I love the flowers! My mom’s no longer here but I do love gifts for myself. The one I think I’d like the most is the SOL REPUBLIC Master Tracks.I could use them to watch movies quietly. Thanks for the chance. I’d love to try the Agraria Aromatherapy Bath Salts for a nice relaxing soak in the bath. My favorite is the Teleflora bouquets. I love fresh flowers like theirs. I’d like to win because my Mom and I both would love all the prizes. The gardening book sounds interesting! It’s something my mom and I would both enjoy. The Agraria’s Aromatherapy Bath Salts sound really relaxing. I would love to win because this sounds like a really awesome prize package and I would use everything included. Those headphones look like they would be very useful to have. Nobody could hear my music and I could not hear my mother’s very loud television. We are planning a quiet Mother’s Day here. I am getting my mom plants for her garden. I celebrated early with my child so its all about Mom on Sunday. So many awesome things! I think the meal planning would be fun to try. 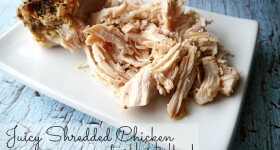 Meal planning gives me a weekly headache! I am a Mom but I also have a Mom. Me, I would love the headphones but because my Mom loves flowers so much and is out of state, I would love to win the Teleflora Mother’s Day Bouquets so I could surprise her. Terrible of me but I just remembered it was Mother’s day this weekend. Hmm, I hope my kids remembered better than I did! I’m homeless living in a 78 sq ft camping trailer. Just recently did I get running water… but it is ice cold. I get to take hot showers once a week at a friends house, and I get to take a 2+ hour HOT bath once a month at another person’s house. You really don’t notice the little things in life until they are taken away from you. I also just lost my job last monday, and thankfully all of my MAY bills were paid before i was laid off, but being a single mom my budget was already tight to begin with now, I’m really scrambling to figure out June bills. Dont eve get my started on my tiny kitchen, my stove/oven doesnt work and no microwave. So i bought a small electric double burner from Wal-mart and it doesnt even get hot enough to boil a small amount of water. and I have 32+ food allergies. So i can’t have any pre-packaged foods. Even if i could but them I couldn’t cook them in the oven or nuke them in the microwave. The fridge in this trailer is broken so i took 2 mini fridges and stacked them on top of each other, and i have a deep freezer in my landlord’s garage – of while he helps himself to it all the time *one of the conditions of putting anything in his garage* so I buy large amounts of meat to basically feed his family. lastly I have cockroaches. I have fog bombed this place 6 times. I have bought lil homes for them, and used borax & sugar to lure them out so they will eat the sugar/borax mixture and then eat themselves. I also put D.E. all around the perimeter of the outside and in the nooks n crannies. Plus bait gel, and also every night I wipe down everything with a 50/50 vinegar water mixture. Making sure to put everything away and cleaned up, so they have no reason to come out and play. These are my reasons for the giveaway items above.. I saw MNO movie last night, and it helped me feel like i was enough even though my situation wasn’t ideal. I need a new pair of headphones and I love the sound of Sol Republic. The Aromatherapy Bath Salts sound so relaxing. What a great gift guide. Lots of old & new ideas to choose from. I, myself like the garden book, but I can see giving the meal planning service to one DIL, who is finally loving cooking and the stationary to a favorite aunt of mine who still does letters the old fashioned way! thanks for a chance at a thoughtful gift package! Well, obviously my ma and I would both prefer to Just Spend Time With Mom, but if I had to pick a physical product the Sol Republic headphones are def my pick. I love that they are totally customizable and the interchangeable headbands are pretty cool. I would love to win this prize, it is full of very nice, high-quality items. Thanks for the opportunity! my mom would love the flowers. and i like to win thanks for the chance. I love flowers , from the garden to the vase. I would love the flowers the most because I just love fresh flowers on my table. They are so cheery. My favorite gift on this list is to spend some time with mom. My mother lives several states away, and I hardly ever get to see her. Some time together would be an amazing gift for both of us. i sent my mom and my step mother flowers today for Mothers Day! I would be excited for any prize thanks you! I would love the Sol Republic Master Tracks. I’m a music fan and these would be wonderful. Also, the Relish Meal Planning would be great. 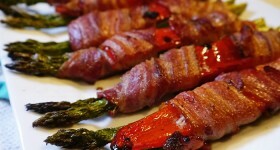 One of the things that is always asked is “What’s for Dinner?” This would definitely help. All the items are great though. I would love to win for both myself and my Mom. Thanks. Nice mix of things- I wish the headphones were in the giveaway, those would be my fave of everything you have listed. I love the stationary from Oubly! My Mom isn’t really into technology or anything, so that would be a great gift for her! My passion is flower gardening.i would love to win the teleflora gift to have some flowers on my table before the flowers in my garden come into bloom. I absolutely love cooking and gardening. I recently grew kohlrabi and tried it for the first time out of my garden. I love that the book Kitchen Garden Experts is filed with celebrated chefs and their head gardeners. The farm to table is definitely intriguing. I’m most excited about the book and would love to get my hands on it as I’m sure it’s a very interesting read. I would love the headphones. I love to listen to music when I clean. I would love to try the SOL Mastertracks. I love listening to music while I work. I’d love to win the Oubly gift card so I could send my momma cute little notes to always let her know Im thinking about her. These are wonderful gift ideas! I would like the Teleflora bouquet because I would like to surprise someone with flowers! The Teleflora bouquet would be lovely, but if I got the gardening book, I could eat more healthily. I would love to have the SOL REPUBLIC Master Tracks! I have never had a good quality pair of headphones before. I listen to a lot of music! i would enjoy an itunes gift card, i dont often buy apps for myself (mostly for my kids) so it would be nice to feel free to purchase some with a gift card, would love to win a prize to pamper myself! I would like to try the SOL REPUBLIC Master Tracks because I need a good pair of headphones! I could really use the SOL REPUBLIC Master Tracks – it will be very useful when I am studying or writing. Thanks for the chance! 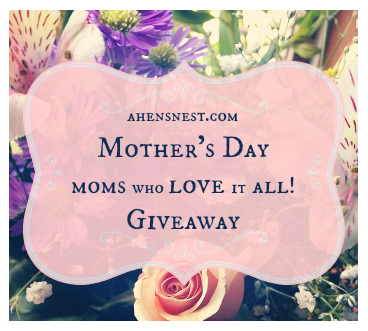 Next Post: Mother’s Day // Moms who love it ALL #Giveaway!